My thanks to Louisa for the sample of Sailor Bungbox Omaesaki Sea. This is another ink from Sailor Bungbox series. 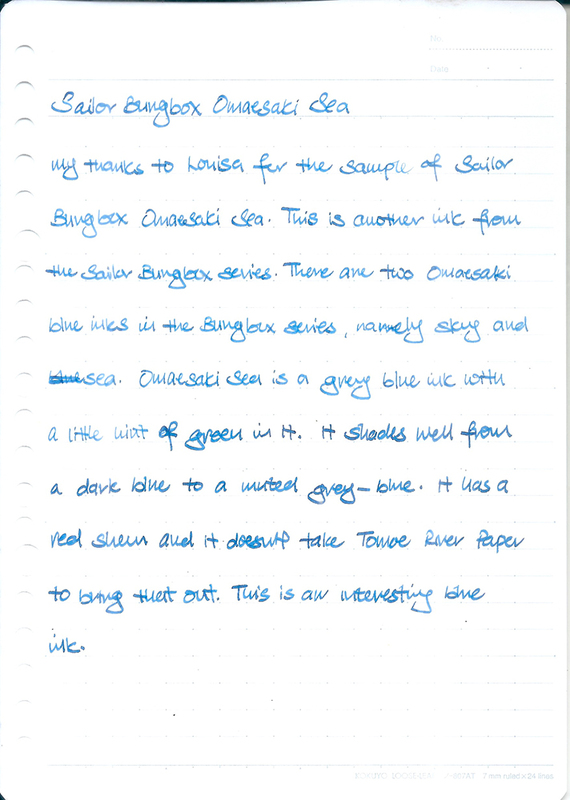 There are two Omaesaki blue inks in the Bungbox series namely sky and sea. Omaesaki Sea is a grey blue with a little hint of green in it. It shades well from a dark blue to a muted grey-blue. It has a red sheen and it doesn’t take Tomoe River paper to bring that out. 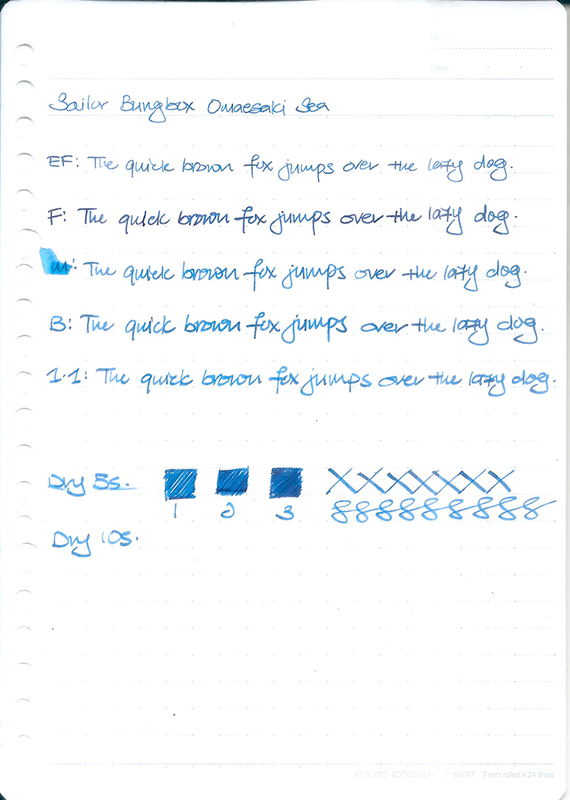 This is an interesting blue ink.